Pet lovers across Pierce and Thurston counties are familiar with the locally owned Mud Bay Pet Stores for their all-natural food, toys, and health products for our furry friends. But are you familiar with how it all got started? Back in 1988, Elsa Wulff bought a tiny, struggling farm store known as Kellerman’s Corner in west Olympia on Mud Bay Road on the southern end of the Salish Sea. Wulff was determined to make the little shop thrive with her indomitable spirit and years of practical knowledge from caring for goats, geese, dogs and donkeys. Joined by her son Lars and daughter Marisa, Wulff rolled up her sleeves and started transforming the tiny store into her dream, a shop focusing on healthy and natural foods for dogs, cats and other animals. With limited access to the high-quality products that they wanted to sell, the Wulffs got creative. When the organic chicken feed couldn’t be found locally, they worked with a local farmer to produce their own. A local bagel bakery was rented on Friday nights to make organic dog cookies. By making new connections in the community to develop new products, Mud Bay began establishing itself as a company that took its products and customers seriously. This expanded into providing customer education about the wide variety of ingredients and types of foods available for pets. Mud Bay developed a series of booklets to help pet owners make informed decisions about what to feed their dogs and cats. In the summer of 2000, Wulff and family found out that Seattle’s largest chain of small-format pet stores was going out of business. The Wulffs knew that people were going to lose their jobs and that the eight neighborhood stores wouldn’t be easily replaced by big-box pet stores. They decided to take their approach to healthy nutrition for dogs and cats to metro Seattle. The leap paid off. Now their selection of wholesome dog and cat foods has grown to more than 450 unique formulas. It continues to grow every year with many new products from Pacific Northwest vendors. Mud Bay has been an active supporter of Puget Sound animal shelters by providing free food to thousands of adopted cats and dogs as well as donating significantly to organizations that contribute to the welfare of animals. 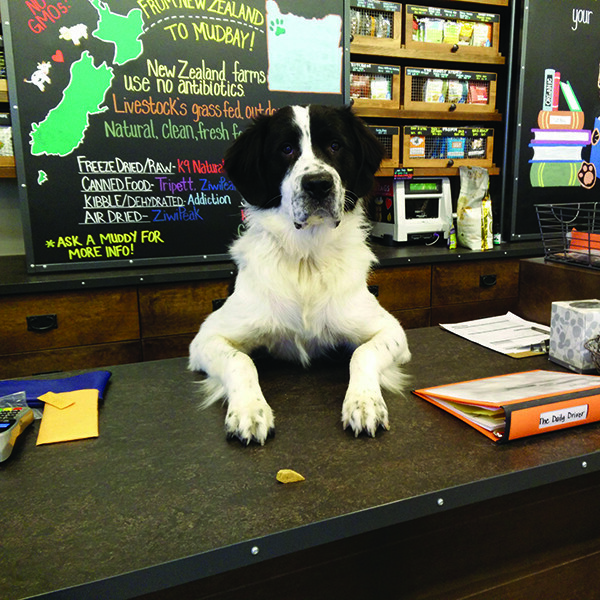 A lot has changed since the first shop opened 30 years ago, but Mud Bay continues to be dedicated to helping customers find the best natural foods for their dogs and cats. They know that a happy pet means a happy person, and that helps make the world a better place for everyone.